Zendaya Maree Stoermer Coleman, simply known as Zendaya has shown us just how versatile a head of virgin hair extensions can be in 2015. She let’s her hair down, so to speak. In February 205 alone, the young singer showed us five different hair weave styles. She was just at the 2015 Grammy Awards, sporting a bowl cut. She was just at the 2015 Grammy Awards, sporting a bowl cut. Now, the youngest contestant ever on Dancing with the Stars is giving us attitude… with faux dreadlocks. And, she wore them to the 2015 Oscar Awards at that! Over the years, typical Oscar hairstyles included classic chignons and strands of hair swooped to the side. But, for the biggest award show of the season, Zendaya went with daring… and she pulled it off quite well, too! Way to go, Zendaya for breaking the typical Oscars Weave Queen mode. Her virgin hair extensions were styled into locks, which came all the way down to her waist. The hair weave dreadlocks were twisted into an over-the-shoulder, half-up/half-down type of hairstyle. The Billboard Hot 100 star gave her hair weave locks a Bohemian tone with a few little jewels. Keeping her bold eyebrows naturally-shaped and natural, earthy makeup tones gave her skin a natural glow underneath her dreads. Thinking about going with dreadlocks this summer, but your natural hair isn’t long enough? 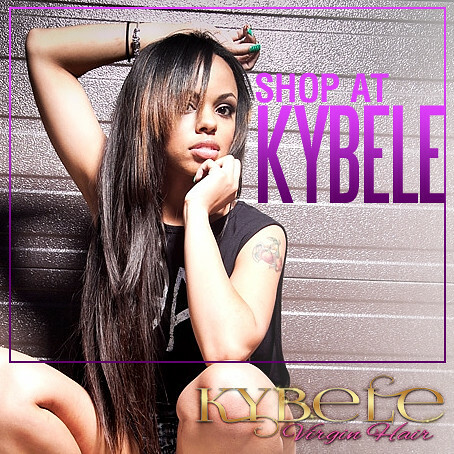 Virgin hair extensions from Kybele Virgin Hair will do the trick. Check out our hair weave inventory today!